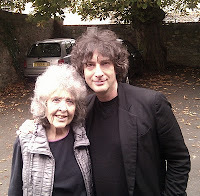 & fellow author Neil Gaiman. 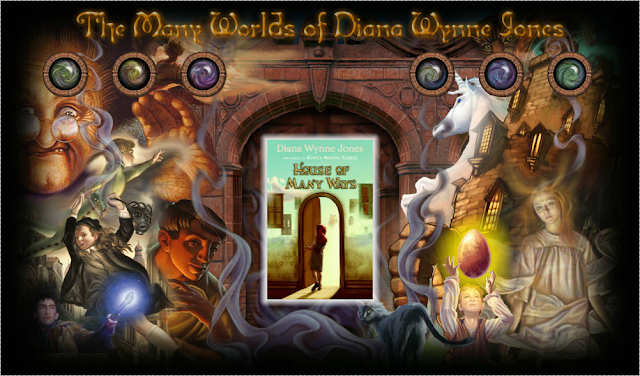 One of the most amazing fantasy & science fiction authors ever is Diana Wynne Jones. She passed away near the beginning of this year (see post here) and I'm not sure what tense to put her in, but saying "is" feels just about right. Because her writing still "IS" so in a way, she is too. "(I started writing when I was married and had children of my own. And I think one of the things I wanted to tell people in my books was how to cope with the world when it goes crazy around you. Everyone is different and that means that everyone is going to need to write a story in a different way. You have to discover how you need to do it. There is no easy way. You can only discover how to by doing it. These hints are to help you find your own way." Please click on the link to read the article. It'll take you all of 5 minutes or so and you won't regret it. She really showed us a "House of Many Ways"